Wednesday night, nine people were killed after a man stood up and opened fire on a prayer meeting at the historic Emanuel African Methodist Episcopal Church, according to CNN. Six women and three men died. A few of the victims have been publicly identified since the shooting: The church's pastor and South Carolina senator Clementa Pinckney; another pastor and high school sports coach, Sharonda Coleman-Singleton; the manager of the St. Andrews branch of the Charleston County Public Library, Cynthia Hurd; and 2014 graduate of Allen University, Tywanza Sanders, according to Mother Jones. 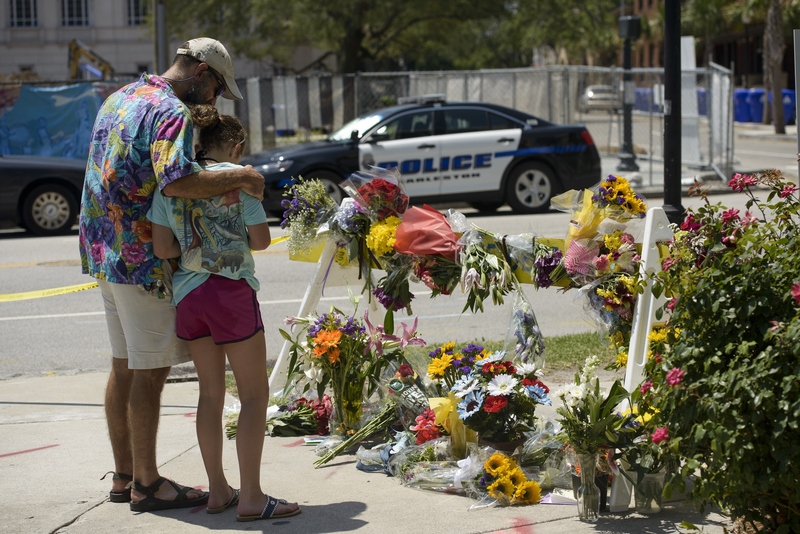 You can help the Charleston shooting victims' families by donating to a fundraising account set up by the city. Friends and family members have been mourning the losses throughout Thursday. The university remembered Sanders as "a quiet, well known student who was committed to his education. He presented a warm and helpful spirit as he interacted with his colleagues," according to NBC News. Sen. Pinckney was a legend. He was the moral compass of the state senate. Pinckney's desk in the statehouse was covered with a black cloth after his death became public. I saw her at work everyday and she always had a smile on her face. Hurd, the St. Andrews branch manager for the public library, was described by the library as "a tireless servant of the community who spent her life helping residents, making sure they had every opportunity for an education and personal growth," in a statement on its Facebook page. You can show your support for these people and their loved ones through donations that will support them through the horrifying tragedy.